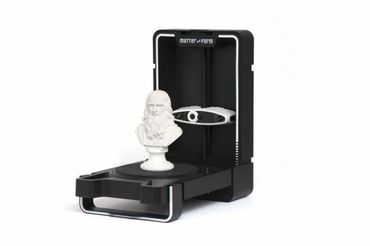 Designed to turn beginners into professionals, Matter and Form V2 is the next evolution of 3D scanning on your desktop. 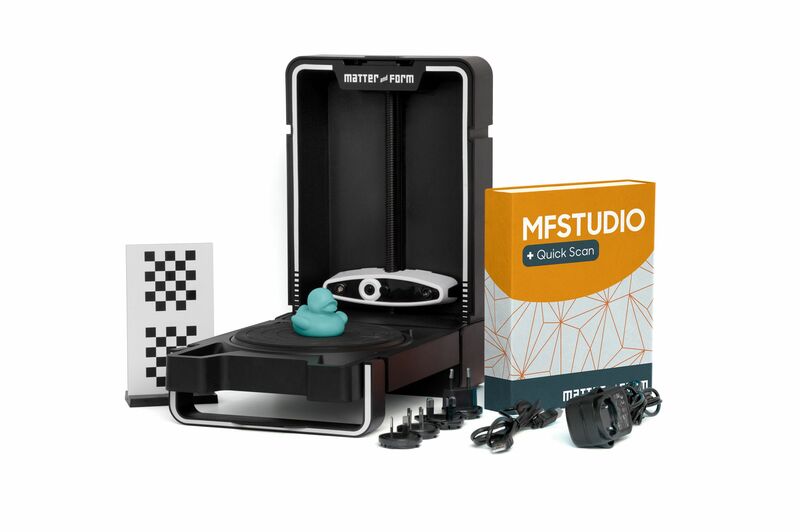 Unlock your full potential with a 3D scanner from MFStudio. 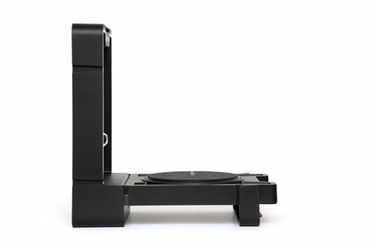 With this stunning 3D scanner you can experience an incomparable feeling as you watch your physical objects digitized on your computer. Your hardware is only as good as the software that runs it. MFStudio has been designed over 5 years with the help of the backers and users. It’s a powerful software tool that lets you fly through projects with ease. Enjoy total control over your scanning setup to achieve great results. Resourceful users will be able to create something spectacular. 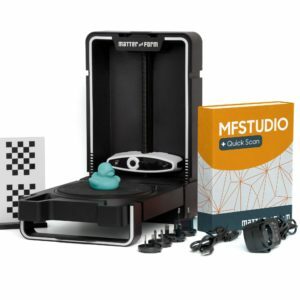 Upgrade your Matter and Form V2 3D scanner with +Quickscan for MFStudio. +Quickscan allows you to capture the complete geometry of your object in 65 seconds. This add-on offers you innovative functionality and real-time feedback so you can freely scan in 3D without having to wait long. Start introducing digital techniques into your creative process now. It’s less important whether you’re just getting started with 3D technology or are a digital 3D professional. 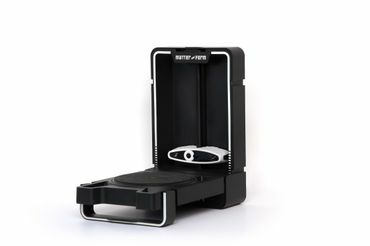 The Matter and Form V2 3D scanner opens up completely new possibilities. Close the gap between physical and virtual objects with this wonderful system. You’ll experience a whole new design process that offers you unprecedented opportunities. A perfect companion for your 3D printer, Matter and Form V2 is designed to fit seamlessly into your workflow. 3D scan, edit, replicate and export your creations to make them a masterpiece with any 3D printer in the world. Start integrating digital techniques into your creative process now. Whether you are a beginner or a digital 3D professional, Matter and Form V2 offers you new possibilities. Create an intuitive bridge between physical and virtual media. 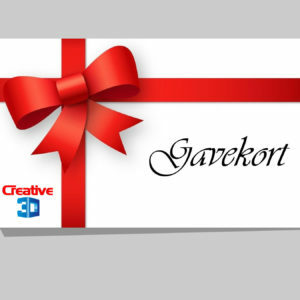 So you can benefit from the advantages of digital and manual creation and create true masterpieces. A new way to capture, analyse and store artefacts. Perform real non-destructive measurements on valuable objects or share digital copies with colleagues or other research teams. 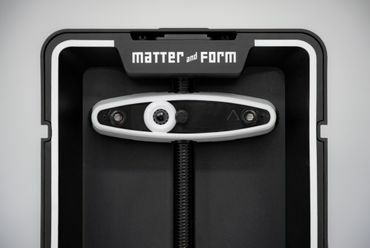 3D scan with Matter and Form V2 opens up new possibilities with interactive learning experiences. If for the examination a manual scanning is necessary you can use the digital image for 3D printing the object. Now even the most valuable and fragile objects can be tactilely detected. 3D scan combines preservation and promotion of cultural heritage with 21st century technology. This 3D scanner combines art, science and technology. Project-related learning becomes even easier with 3D digitization. The various applications of 3D scanning offer a unique and practical method for interdisciplinary investigation of important topics. Students who already work with 3D printers have the speed, accuracy and ability to expand their ideas. With Matter and Form V2, 3D scanning is also possible for schools and universities at low cost, too. 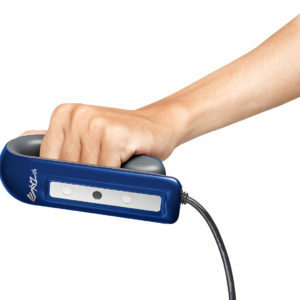 Buy the Matter and Form V2 + Quickscan 3D scanner for quick and easy 3D scanning. Get up to 0.1 mm accuracy with the precision of these eye-safe red lasers. Supported on both Windows and Mac, with multiple export capability for 3D printing.